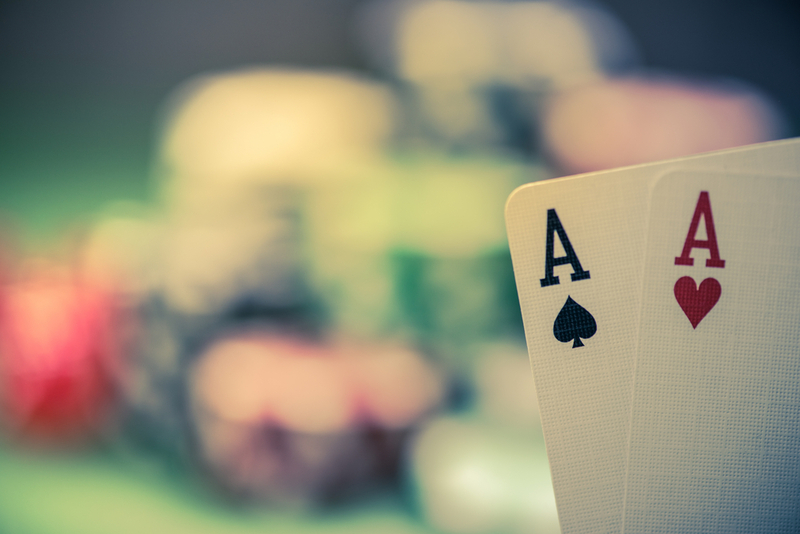 Even if you are relatively new to online poker, you may have heard of ICM. However, you may not quite understand what this term means. So let us explain what the ICM poker term is, with minimal math, and give you an insight as how you might be able to use ICM as an online poker strategy. ICM stands for “independent chip model”. ICM poker strategy works by assigning a value to your chip stack, which is dependent on two things, and will then calculate the actual cash value of your chips. ICM is incredibly useful as it can account for the fact that tournament chips are not linear. In other words, a big blind is worth a lot more to a short stack, than a big blind is to a chip leader. So, which two factors influence the value of the chip stack? Firstly, the value depends on the total number of chips which are in play at that moment in time. Secondly, the value of your chip stack is also based on the total prize pool available. So let’s think about the first factor, which is your stack size relative to the total number of chips in play at any particular time point. For example, if you hold a total of 100 chips when only 1,000 chips are in play, this is worth more than if you hold 100 chips from a total of 10,000, or where you only hold 100 out of 100,000. The second factor which ICM depends on is the payout structure of the game. Think about a situation in which you have 100 chips when 1,000 chips are left at the table, but where five players remain in the game. In this game, there is only a payout for first place. In this situation you are very unlikely to gain any money. But in a situation where there is an equal payout for first to fourth place, you are more likely to gain money and your chips are worth more. ICM calculates the probability of finishing in a given position and then multiplies the finishing position with the relevant payout. This can tell you what you might win. For the player in first place, this is a simple calculation and only relies upon dividing the player’s number of chips by the total number of chips in play. The calculations involved for second place and lower are very complex, but thankfully, online ICM calculators are widely available. So what are the advantages of ICM? The key advantage of using ICM is that it can help you calculate your prize pool equity, whilst accounting for that fact that tournament chips don’t hold a linear value. But in a tournament situation, simply counting your chips isn’t enough. You can therefore use ICM to help you make those tricky strategy decisions at the bubble. For example, should you aim to survive the bubble, or should your aim actually be to gain more chips? Or alternatively, you can use ICM to help you decide whether you should call, or whether you should fold, when you are at the bubble. By inputting the values into an ICM calculator you could work out exactly what you likely to win, or lose. A further advantage of understanding ICM is that even if you do not use this technique in a tournament (although we do suggest that you should at least consider the independent chip model as a strategic option), you will at least be aware of how your opponents might use this tactic against you in play. Many poker players do consider ICM to be a more accurate method than the usual chip chop approach for splitting the prize pool, which simply does this on the basis of the percentage split of the chips in play, calculated for each player. However, you should always keep the limitations of the independent chip model in mind when employing this strategy in a tournament. Firstly, ICM doesn’t make any allowances for differences in either the level of skill or luck. Additionally, it is very important to understand the relative strength of your hand in relation to the potential hand of your opponent. We hope that this has given you an helpful overview of the ICM poker strategy. To help you to improve your poker game further, please be sure to read the other articles in our archives, and look out for upcoming articles.